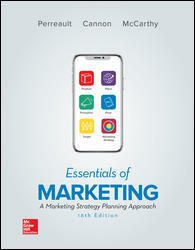 We are pleased to unveil a new feature with this edition of Essentials of Marketing. One of the challenges we face with writing a marketing textbook is offering students the most current examples. With this edition, we have added a new What’s Now? feature. A link at the end of each chapter sends readers to a web page that introduces them to a new example relevant to that chapter. What’s Now? links are updated every six months and provide a great way to link current events with each chapter of the book. These exercises are designed to give your students current, constantly updated content with relevant questions. The direct links can be found in the “What’s Now?” section at the end of each chapter. Over the next couple of weeks we will be releasing a What’s Now? link for each chapter. Filed Under: Flip Exercise, Tips for Teaching, What's Now? This post at the HubSpot Agency Post blog titled “24 Minimalist Print Ads to Inspire Your Creativity” provides some interesting print ads that might be added to your next presentation. I like to show my students an “Ad of the Day” to start class. A simple “right click” (control-click or cmd-shift-4 on Mac will snip the ad — which can then be dragged or pasted into PowerPoint). 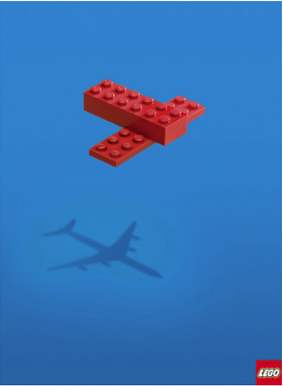 This particular ad might be used to stimulate a discussion of our Lego case that opens chapter 4.